Fun fact. This family use to be our neighbors! =) I saw this little guy and his parents practically every day, whether it was walking into the house or just chatting on our back porches to pass time while our dinners cooked on the grill. Either way, I felt like I kind of got to see him get older each day until the day we moved. I have to admit I was sad with a few things about moving and this was one of them - leaving familiar faces that I enjoyed getting to chat with on a daily basis, plus seeing this little guy. When we moved Colin was just crawling around, so when I got the call about planning his first birthday session, I was shocked. How could he be turning ONE already? 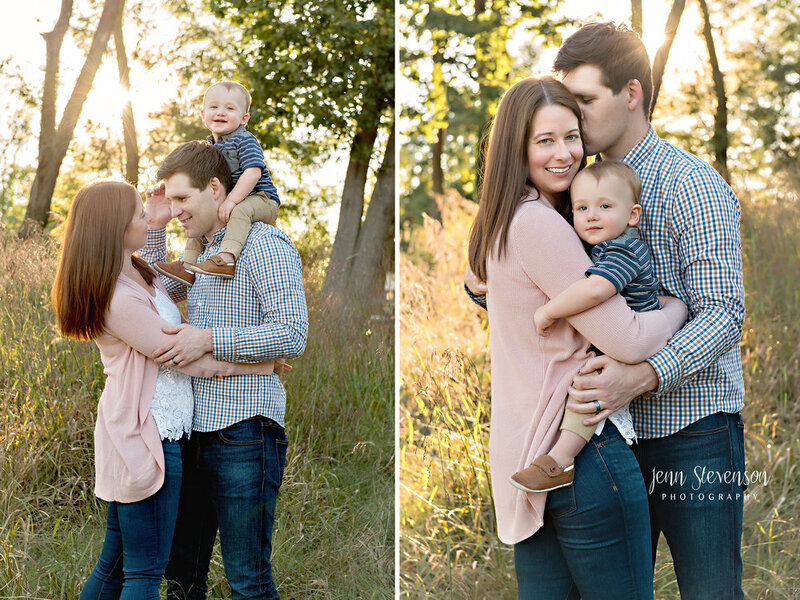 I felt like I just did their newborn session (click here to see). Dear Colin, Keep being your sweet curious self and don't forget to keep your parents on their toes for me, ok? =) Happy 1st Birthday!